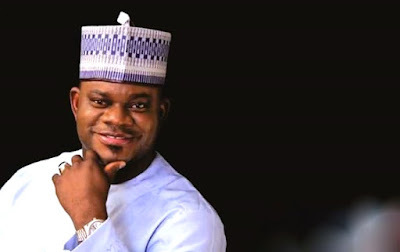 Governor of Kogi state Yahaya Bello has denied reports of his administration’s involvement in the murder of a Leader of the Non-academic staff union (NASU) in the state, Mallam Abdulmumin Yaqub. “I am particularly worried about utterances credited to the leadership of organised labour in Kogi State in the media suggesting that Mallam’s death may not be unconnected with his roles as a labour leader opposed to government. Simply put, they have insinuated that this government may have something to do with his death. They have also gone ahead to posit that their lives are not safe as labour leaders. I am aghast at this manner of thinking. Nothing could be further from the truth, and the leadership of labour knows this. Unfortunately, this is not the first time that labour in Kogi State has capitalised on horrendous tragedies which befell some of our citizens to malign the administration in the most malicious way. In the last three weeks alone they have been quick to lay three tragedies at our door – the suicide of a senior civil servant, the death of a family’s dear daughter from sickle cell anaemia disease and now the killing of Mallam Yaqub by as yet unidentified assassins – only to have the true stories surface a short while later contradicting their stories. “Nevertheless, let me assure labour leaders that they have nothing to fear. Government is not after them. I am not after them. On the contrary, government remains responsible for the security of their lives and properties, along with those of all other citizens of this great state. It is a responsibility which even they know that we take very, very seriously indeed”. Bello also announced a N1 million bounty for anyone with information that could lead to the capture of the culprits.